Guess what – I have some UFOs! I forgot that I haven’t finished quilting this pillow yet. 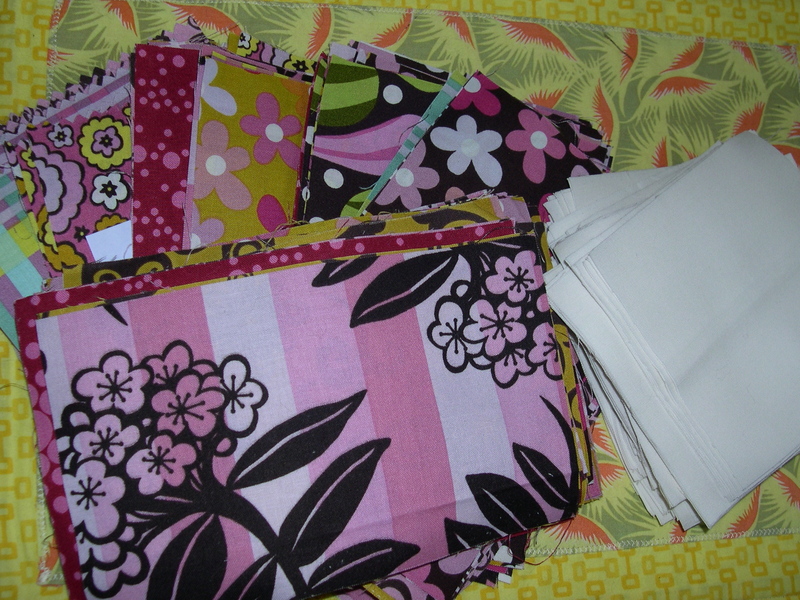 I now have three quilt projects lined up to make. The first one is Randi’s quilt-along project. I cut these fabrics into 4-1/2 inch by 7-1/2 inch rectangles a couple months ago to make another quilt but I didn’t like the way it looked, so I put them back in my closet for another inspiration to appear. Then I saw Randi’s quilt-along project, and decided that was just the right project. The cutting measurements for Randi’s quilt-along project call for 3-1/2 inch by 7-1/2 inch rectangles, so mine will be a little bit bigger. Close enough for me! I ordered some Kona cotton in Snow, which I cut into the 4-1/2 inch squares to go in between each rectangle. I still love the chocolate lollipop fabrics, so I’m looking forward to working on this project. The second one is Anina’s 3-by-3 swap I participated in last summer, where we swapped 9-patch blocks for three months. I need to add white sashing to join these blocks, which I think I have about 48 to assemble. The third one is this Little Gems pattern I bought from Anina, which is a pinwheel block, my latest love. I haven’t made any pinwheel blocks, and I love these fabrics and colors, so this one is going to be fun too. 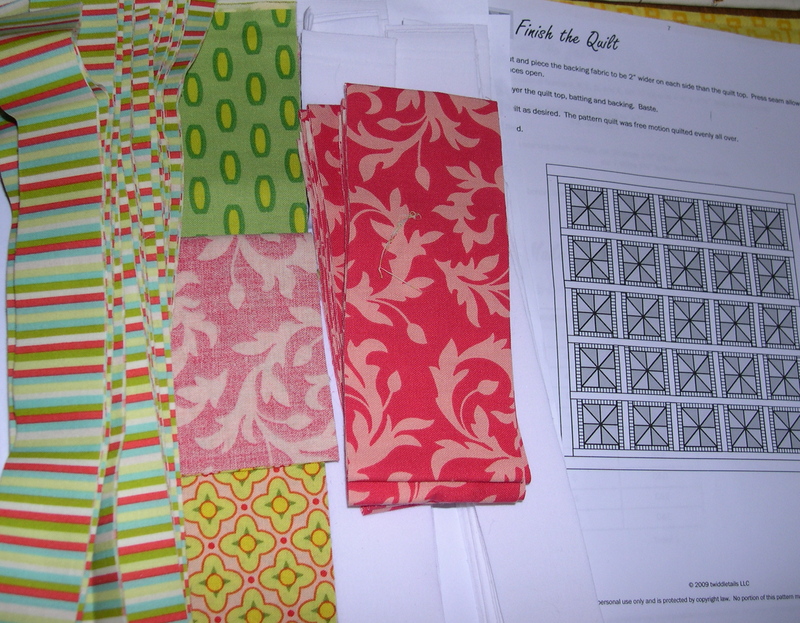 I have the fabrics cut for each one of these projects, so I am ready for some piecing. I love having several quilt projects lined up. Until I can get to these, I continue to keep busy making new products to fill up my shop. Lots to keep you busy this weekend Terri! Cutting is my least favourite part of quilt making – now you get to do the fun part! You are going to be busy! That Chocolate Lollipop fabric is SO beautiful! 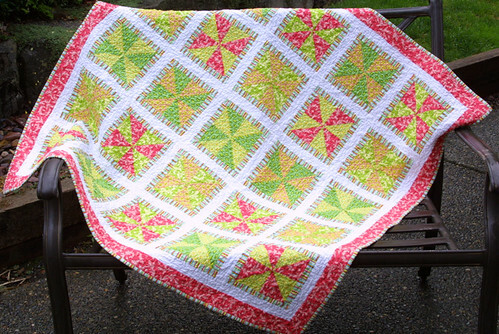 I love the pinwheel quilt and the fabrics are amazing. I too have tons of UFO’s, better get busy. Nice projects with pretty and inspiring fabrics! I love all the projects you have been sewing lately. I look at everyones blogs on my phone during lunch at work but I can’t ever get the comment boxes to work. Its so frustrating! Anyway I just wanted to say hello and comment on all your work. Seeing those nine-patches remind me that I have that quilt on my to do list to. I have strips of blocks sewn but haven’t put them together. 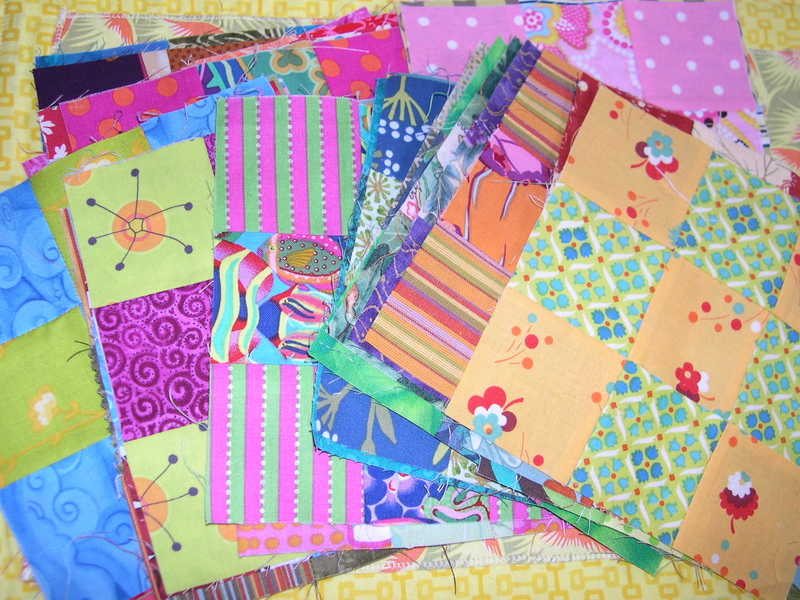 I may also want to make another Little Gems quilt with different fabric, I think. TGIF You have enough to keep you going all weekend and then some. Love your color choices. Good Luck and can’t wait to see them finished. I always love your color choices and can’t wait to see the finished products! I have a red pinwheel quilt to finish. Your fabrics are so cute!! I love your 9 patch blocks. The pinwheel quilt is going to be so cute. I love the fabrics you picked. Good for you working on UFOs. I have many of those! Looks like you are going to be pretty busy, in a fun way! I can’t wait to see your finished projects!